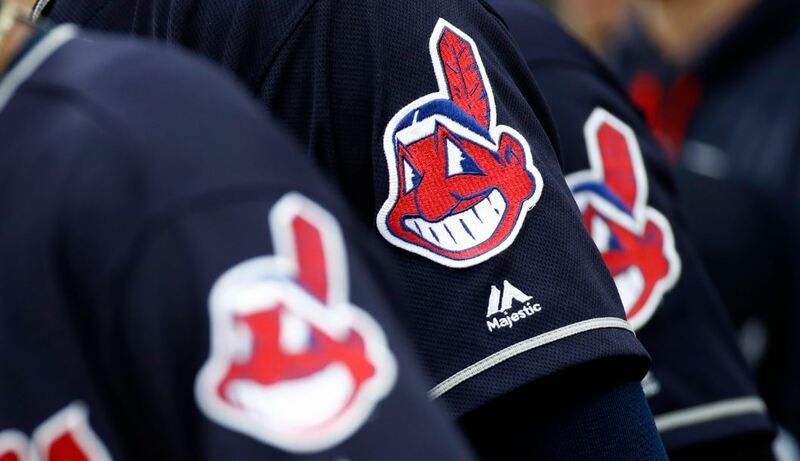 While still maintaining the name Cleveland Indians, the team will no longer be represented by the image of “Chief Woohoo,” the New York Times reports. This racialized logo is set to disappear from uniforms in 2019 but can still be purchased at the team’s souvenir shop. However, there is division on the decision. There are those who like the nickname, though it is not one that persons indigenous to what is now the United States would answer to. It is not familial or collegial for them. But, it has been with the team a long time, since 1948. What makes this change so hard? Creating an image of other cultures that racializes and reduces them to certain physical features that are played up for our amusement and entertainment is understandably problematic, right? The images are not historical or accurate. Instead, they play to our fears and self- serving fantasies. These images are not simply taken of their bad side but they are our side of their story. It is how we see them. Consequently, these images are not a mirror but a reflection of those who create them. There is something bigger than sports at work here. It is the continued renaming of people groups, recreating them in images that we can capitalize on, both financially and otherwise, telling them that it is our right and that they have no say in how they are seen. We use images that do not speak for them but prevent healing and whole conversations. So, what are we really saying? Why do we need to see these images and say these words about persons other cultures? Because it is unsportsmanlike conduct. The NBA’s Deputy Commissioner Mark Tatum sent an email on Friday reminding its players that they are required to stand during the national anthem. But, they weren’t “required” until 2009. In fact, while we sit down and watch, the NFL is paid to be patriotic. In 2015, it was reported that the Pentagon had spent $6.8 million dollars for these displays of loyalty during sporting games. And it is was ruled in West Virginia State Board of Education v. Barnette in 1943 that no one could be forced to participate in “patriotic rituals” to include the Pledge of Allegiance. Arguments have been made about respecting the flag but according to the “Flag Code,” kneeling is not included as a sign of disrespect: “While the Code empowers the President of the United States to alter, modify, repeal or prescribe additional rules regarding the Flag, no federal agency has the authority to issue ‘official’ rulings legally binding on civilians or civilian groups.” Certainly, it is not within the President’s power to suggest terminating the employment of private citizens who do not participate. NFL player Delanie Walker talked about his team’s decision to stay in their locker room during the anthem and afterwards, received death threats. Am I missing something here? Persons want to kill Mr. Walker and members of his family because of his decision to show solidarity with other team members? He doesn’t deserve to live believe he decided to use his body to bring attention to cases of police brutality, misconduct and the criminalization of oppressed people groups? President Donald Trump tweeted, “The issue of kneeling has nothing to do with race. It is about respect for our Country, Flag and National Anthem. NFL must respect this!” But, then why did these persons include racial slurs in their threats to Mr. Walker? I mean, if it is just about a song, a symbol and protesting at the right time, then why the escalation to violence and the choice of words that remind all African Americans of their history of oppression in the United States? If persons have expressed on countless occasions their respect for the military and their rationale for kneeling, then why can’t persons just agree to disagree? It seems that we are having two different arguments, talking about two different allegiances, participating in two kinds of protests and one is death- defying. While Colin Kaepernick was kneeling to draw attention to the merciless killing of unarmed African American citizens by police officers, the President has polarized the country by suggesting that they were anti- flag and anti- military. It was no longer about the dead bodies of African American that lay in city streets but the active, reserve, veteran and deceased members of our military. While countless persons spoke up to correct the narrative, Marvin L. Boatwright, a US Army veteran’s drove the point home loud and clear. He kneeled in full uniform while holding the American flag as Mr. Trump’s motorcade passed by. Because it has never been about the American flag, accept to challenge Americans to raise the standard of our existence to the standard it represents. But, this is not the first time African Americans have protested. The Black Power Salute at the 1968 Olympics and Muhammed Ali’s refusal to serve in the Vietnam War are not a distant memory. It is rather that these athletes would protest at all. Persons have argued that they make millions of dollars to play football, that they have nothing to complain about, that they should be grateful to live in America. Somehow, money insulates them from social ills or maybe the new silver spoon in their mouths should prevent them from protesting. Because you can’t be an athlete and an activist at the same time. Because if persons don’t stand for the American flag and put their hands on their hearts, then they are un- American. It is again being argued that there is only one way to be American. If you don’t behave like us and if don’t like our rules, then you can leave our country. African Americans hear this anytime there is a disagreement on American values and their practice. There is no mention of kidnapping and enslavement, that the story of African Americans is one of the deepest betrayals of humanity the world has ever known, that the only “native Americans” are those indigenous to it. It seems that African Americans should be glad to be in the position that we are in, that we are ungrateful, that we owe America some unspoken debt for our freedom. While we are “free at last” in America, every human being is made free, born free. We are free at first. Still, we should be content with the progress we’ve made. Because at least, we are not slaves, right? We ought to be grateful for the Emancipation Proclamation. It sounds like we are Americans by consensus. By reason of “whiteness,” these persons are more American. Furthermore, they are judges of who is American and who is not. Salute the flag or you are out. Oddly enough, the salute mirrored that of Hitler before 1942. Rev. Dr. Barber, “architect” of the Moral Mondays movement in North Carolina and the pastor of Greenleaf Christian Church, called them “sons of justice.” They protested silently and were met with disapproval from the President of the United States. Black Lives Matter protested in city streets with a permit and they were considered troublemakers. Jamele Hill wrote on social media about her disapproval of the President on her personal time and persons asked for her resignation from ESPN. It seems that it is not a matter of how or where African Americans voice discontent. It is troubling that they protest at all. Just be grateful. Just do your job. Just shut up and play football. Like American nationalism, football is a religion in America. When the two are combined, a social “rapture” is inevitable. People take sides and those who don’t agree will be left behind. The NFL responded in support of its players and many teams stood arm in arm as a show of unity. But, what about the Church? Persons say they would have marched with Rev. Dr. Martin Luther King Jr. if they were alive during the Civil Rights movement. Well, history is repeating itself. The Church should take a knee again with Colin Kaepernick and in solidarity with the poor, oppressed and marginalized. Where are the hands and feet, the knees of Christ now? This week, I served at a conference for ministry leaders and their families in the mountains of North Carolina. During one of the nightly sermons that was going really well, the preacher decided to use a sports analogy to make a theological point. He began with the Dallas Cowboys and turned the sacred space into a man cave. Many of the men were upset about the example and I was confused by it. He lost me right after Dallas Cowboys. What season? What was his name again? But, Mike Frost’s article made a lot of sense to me and provided the answer to a question that I didn’t even know how to ask. In his article “A tale of two Christianities on its knees,” Frost compares the two Christianities that are being expressed by two football players whose names I do know– Tim Tebow and Colin Kaepernick. Both have taken a knee on the field but for very different reasons. One is praised and the other is scorned. Why? Have a seat and click here. You’re going to want to hear this. That the franchise initiate a merchandise exchange or buy-back program to motivate fans to adopt the new name, mascot and logo and remove the old, racist standard from public view.